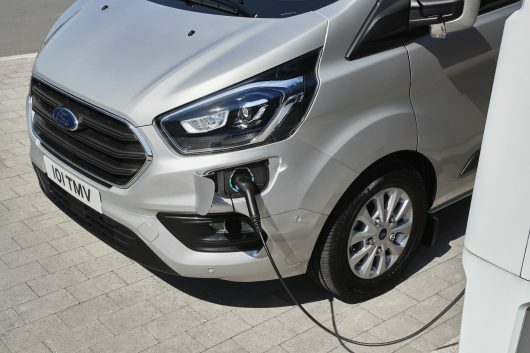 Ford has revealed the production version of its new Transit Custom plug-in hybrid electric vehicle at the IAA Commercial Vehicle show in Hannover, Germany. 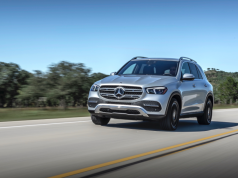 It has an advanced PHEV powertrain that targets a 50km zero-emissions range or 500km total range using a 1.0-litre Ecoboost engine as a range extender. 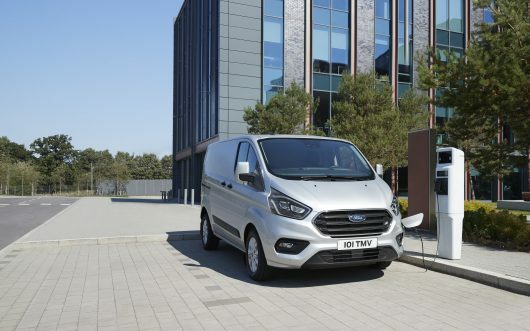 Ford also announced major enhancements to the Transit Custom line-up, including an upgraded 2.0-litre EcoBlue diesel with more powerful 185 PS variant, a segment-first diesel mild hybrid powertrain option, and advanced new connectivity and driver assistance features. Using the charge port located within the front bumper, the Transit Custom PHEV can be charged using a domestic 240 volt 10 amp power supply, achieving full charge in five hours, or a commercial 240 volt 16 amp or 32 amp supply, which can bring the pack to full charge in three hours. The new Transit Custom PHEV van is a key component of Ford’s global electrification commitment, with an investment of $11 billion to create a portfolio of 40 electrified vehicles globally, including 16 fully electric vehicles through 2022. Designed to enhance performance and cost of ownership, the changes include an upgraded version of Ford’s 2.0 EcoBlue diesel engine, further optimised for fuel efficiency and now available as a more powerful 185 PS variant. Transit Custom also offers a segment-first mild hybrid (mHEV) diesel powertrain option that delivers additional fuel efficiency improvements, with particular benefits in urban stop-start conditions. 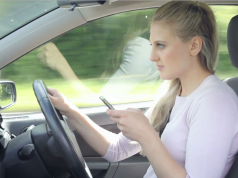 The FordPass Connect on-board modem technology is introduced, and the Transit Custom can also be specified with an enhanced suite of advanced driver assistance technologies including Active Park Assist, Intelligent Adaptive Cruise Control, Lane Keeping Aid and Blind Spot Information System with Trailer Tow. The new Transit Connect Sport was also revealed for the first time at Hannover, packing a visual punch with an exterior styling kit, signature matt black sports stripes with silver or orange accents, and 16-inch Dark Stainless alloy wheels. The exclusive Transit Connect Sport van expands the line-up of Ford’s popular Sport vans, joining the Transit Courier and Transit Custom Sport models. Standard specification includes a cabin enhanced with partial leather trim, a Ford Power starter button, Dual-Zone Electronic Automatic Temperature Control, Cruise Control with Automatic Speed Limiter, and static cornering fog lights.